Whether you’re looking for floor sweepers with or without brushes, we have an option for you. Choose from mechanical or electrical models to best suit your establishment’s needs. 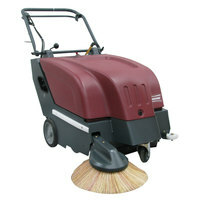 All our commercial sweepers are durable, efficient, and high quality. With ergonomically shaped handles, sweepers are easy to use and comfortable to hold. They’re also lightweight, so you can easily maneuver them under chairs and around tables. Also make sure to check out other great items from Carlisle, Hoover, Minuteman, Oreck and Rubbermaid. 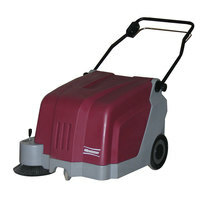 Stock your janitorial closet with our supply of commercial sweepers! We even offer accessories, including rubber blades, chargers, and batteries to keep your product running efficiently. Brought to you from a variety of the most trusted vendors in the industry, these floor sweepers will deliver high performance to keep your venue’s floors tidy and dirt free. Be sure to also check out our other janitorial items, including floor care chemicals, mops and mopping accessories, and janitor carts. If you're wondering where to buy minuteman floor sweepers, we have a large selection of minuteman floor sweepers for sale at the lowest prices.